Stockholm (AINA) -- In a resolution adopted today, the Swedish parliament (the Riksdagen) referered to the World War I-era killings of 2.75 million Armenians, Assyrians (also known as Chaldeans and Syriacs) and Pontic Greeks by the Ottomans as a genocide. Turkey is regarded legally and politically as the successor state of the Ottoman Empire but vehemently rejects calling the killing genocide according to the U.N. definition adopted in 1948, insisting that those killed were victims of war and uprising. The genocide claimed the lives of 750,000 Assyrians (75%), 500,000 Greeks and 1.5 million Armenians. 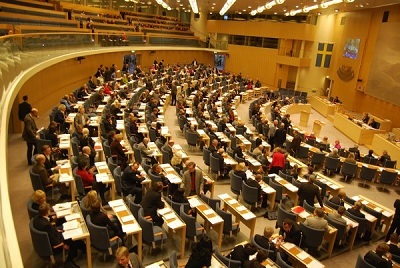 The resolution passed by a single vote after some members of Prime Minister Fredrik Reinfeldt's ruling centre-right coalition broke ranks and voted with the red-green opposition. Swedish Foreign Minister Carl Bildt is cited by Swedish radio news saying that he regretted the Parliament's decision and feared it could "be used" by reform critics in Turkey and that it "will unfortunately not have a positive effect on the ongoing normalization process between Turkey and Armenia." In contrast the Left Party's foreign policy spokesperson Hans Linde told The Local newspaper on Thursday that the time had come for Sweden to take a stand on the issue. "First, to learn from history and stop it from repeating and second, to encourage the development of democracy in Turkey, which includes dealing with its own history. The third reason," added Linde, "is to redress the wrongs committed against the victims and their relatives." The Washington Post cites Gulan Avci saying that, "after 95 years it is time for people who have suffered so long to obtain redress." Gulan Avci is a Liberal Party lawmaker who broke with her party's line and voted to recognize the resolution. Avci is a Kurdish immigrant from Turkey. The uniqueness of Sweden's genocide adoption is that it refers also to Assyrians and Pontic Greeks. Their suffering during the World War I has been mostly forgotten for decades, but in December 2007 the International Association of Genocide Scholars (IAGS) did vote overwhelmingly and recognized the genocides of the Assyrian and Greek populations of the Ottoman Empire between 1914 and 1923. 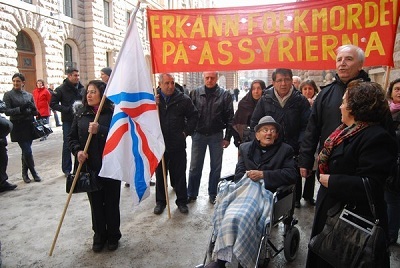 For the Assyrians in Sweden, the recognition of the genocide, called Seyfo (sword) in Assyrian, is a milestone in their effort for political acknowledgment. 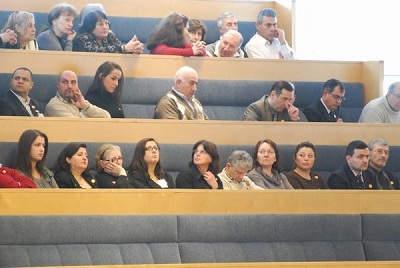 More than 80,000 Assyrians live in Sweden, and they closely followed the debate in the parliament. As expected, Turkey condemned the decision of the Swedish Parliament. A strong condemnation was voiced in a press release from the Prime Minister's office. Turkey recalled its ambassador to Sweden for consultations and said Prime Minister Recep Tayyip Erdogan has cancelled his planned visit to Sweden on the 17th of this month. Last week a U.S. a congressional committee approved a similar resolution that would send the measure to the full House of Representatives. Minutes after the vote, Turkey withdrew its ambassador to the U.S. Also last year, Turkey also recalled its ambassador to Canada after Prime Minister Stephen Harper referred to the killings as genocide.